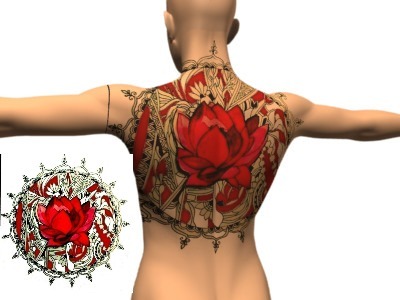 Lotus tattoo . Round . Perfect for the neck and shoulder. Size is 21 x 21 cms approximately. May vary according to the paper size you choose to print out the design. You can also use a photo editor like Photoshop to edit the size according to your preference.